So the Alpha has long gone and the Beta has just recently left us behind. It’s time to sum up what I thought of The Division during that time. I’ve already mentioned that I played both the Xbox One version and PC version with the latter being my preferred choice. In total I notched up roughly 15 hours play time across both, with the majority of my time being spent in the Dark Zone (DZ). First let’s talk about the campaign, or the PVE side of the game. New York has fallen in to disarray after the smallpox virus – transmitted via bank notes, was released on Black Friday. You’re part of the Strategic Homeland Division or ‘The Division’ for short and you’re tasked with trying to bring the chaos back under control. I really think that the post-apocalyptic look of New York has been nailed. I guess technically it’s not ‘post’ as it’s kind of still going on. But you really get the sense that the city has collapsed. There is no police presence or any other emergency services. Buildings are boarded up or ransacked for their goods. The remaining citizens are fighting in the streets or begging for help from agents. Plus it looks fantastic. Rumours of downgrades are greatly exaggerated in my opinion – yes it might not be as shiny as the first E3 trailer, but it still looks brilliant. As for what we got to play it was pretty sparse in terms of missions during the Beta with one main mission and a handful of side missions. Did they blow my socks off? No. But they were enjoyable. I honestly think it’s pretty tough to come up with brand new ideas for single player missions these days. Being genuinely innovative isn’t an easy task. Some people are groaning about the fact that the missions they played are basically working your way through an area taking out mobs, moving on and then eventually taking on a boss type character. There are so many games that do this, yet for some reason some people only complain about it in certain games. Why is it that some get away with it whilst others don’t? Well, for me, it’s down to whether it’s fun to do. Personally I think the combat and missions in The Division were fun. Whether that fun will last for the entire game remains to be seen. Aside from the missions you’re free to explore the city as much as you like. There are underground stations, manholes with access to sewers, buildings to enter and contaminated areas to visit. Each area seems to be hiding either loot, collectable items or other secrets. I don’t know if the amount of areas that were enterable is representative of the final product but if it is, I would really like to see some more. 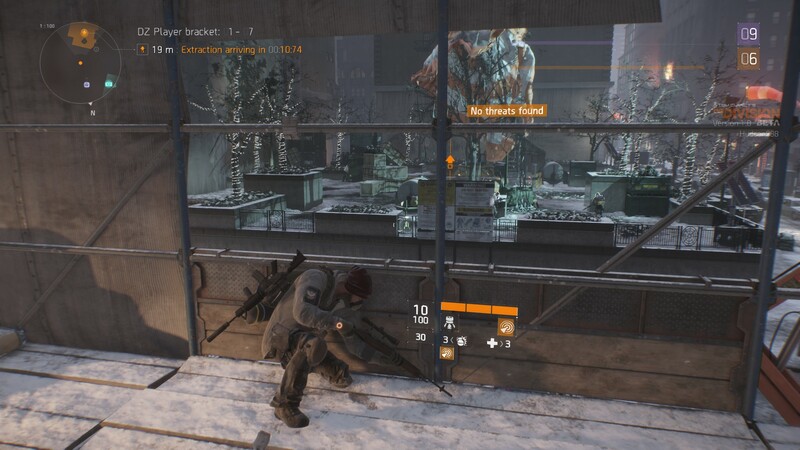 Whilst there was still a fair amount to search I think seeing a few more would greatly benefit the game – especially if they added more in the DZ. On the PC version I completed everything that was available to me on the map – all missions, side missions and encounters. There was a little variation there but not huge amounts. As I said it was mostly killing mobs, but there were some variations that put you against a clock or had you searching for clues or ‘echoes’ to help you progress. I hope to see a little more variation in the final game and feel like there will be a few more mission types available. I would like to talk some more about the RPG side of the game, but in all honesty it’s pretty tough seeing as most of the RPG elements weren’t enabled in the Beta. But from what there was and what you can see there are 3 skill trees, Medical, Technology and Security. These essentially act as your healer, DPS and Tank. You then have talents which provide unique combat enhancements. Finally you have Perks which act as modifiers to passively effect your gameplay. There still isn’t a huge amount known about all of these, so it’s hard to expand on them much more. 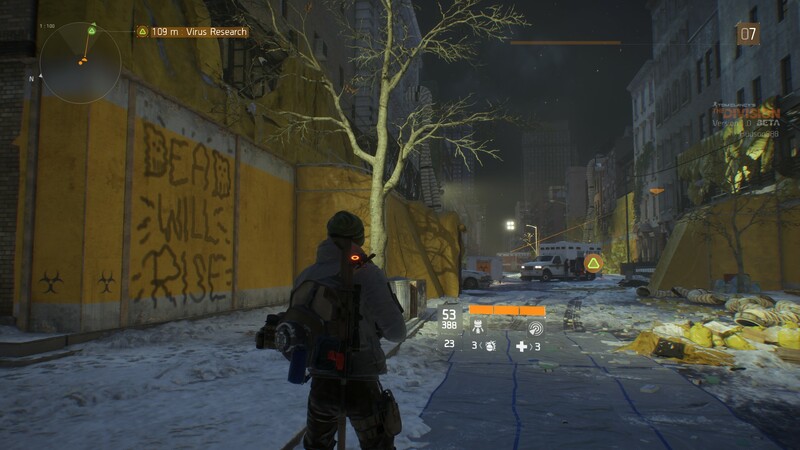 Once I got all of the PVE ‘stuff’ done, I made my way in to the Dark Zone. The DZ serves as the PVP area for the game but also has some PVE elements to it as well. You can instantly see a difference in the game as soon as you enter the DZ. Everything is a little darker a little more run down and the military presence was obviously much more apparent here – although they no longer remain. 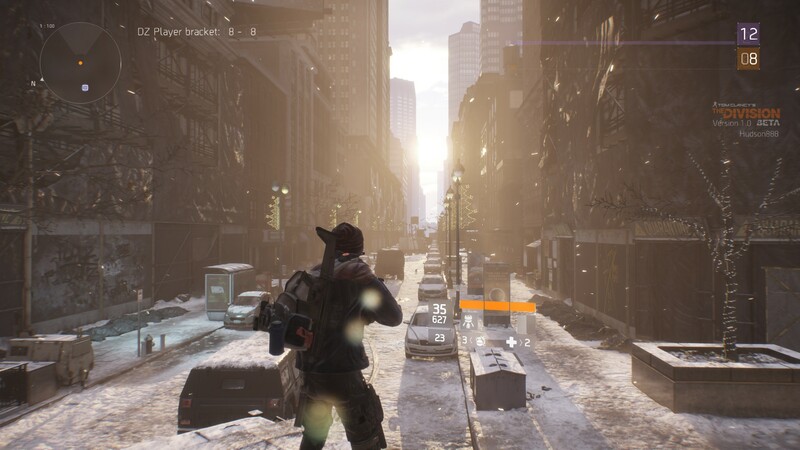 In the beta the DZ held a maximum of 24 players and you were able to form groups of up to 4. For the most part I played solo, although I did team up with a few people at times, including Gaming at Heart. So, how do you get your hands on some of this lovely high tier loot? Well, you can either take on other agents and try and rob them of the loot they’re carrying – indicated by a yellow hazmat bag carried on their backs. Or you can hunt down any number of the NPC enemies, take them out and pick up the spoils that they drop. There are also a number of vendors selling gear as well as chests that can be looted provided you have Dark Zone keys. Once you’ve got your loot you’ll need to extract it by calling in an extraction chopper at a number of locations on the map, but this will also alert other players to what you’re doing. 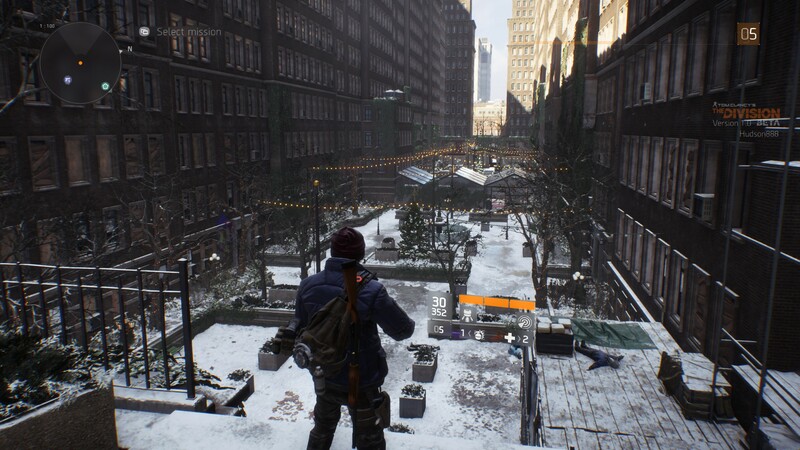 The idea for the Dark Zone sounded amazing to me. Random encounters with other players and the potential of a firefight or a tense standoff seemed like it would create some great moments, and to be fair, during my time playing I did have some of these tense moments. Maybe they weren’t quite the heart pounding moments I was expecting, but there were definitely some tense times when trying to extract loot or just generally exploring when you know you have some good loot on your back. I think as you level up more and progress further in to the game those moments will become more rewarding and exciting – seeing as you probably be carrying much better loot around! Overall I thought the Beta was a really good taste of the game and I thoroughly enjoyed my time playing it both solo, with friends and with a few randoms too. But it isn’t a perfect game and there are some things that I would like to see change. They aren’t game breaking issues, or anything that’s really going to turn me off of the game, more just little nuances that I think would just make it a little better. The things I’m going to suggest might well already be planned and we just don’t know yet. If so, great! My end of Beta gear. Firstly, I’d like to see a change to pistol ammo, I don’t why you have unlimited pistol ammo, but I don’t think it’s a good choice and it takes away some of the danger of getting low on ammo when you’re not near a restock station. This is only a very small thing but I just think it would make a bit more sense. Next I’d like to see a more populated PVE world. After clearing all the encounters in the PVE side of the game felt pretty quiet in terms of enemies. There is a good chance that in the final game the plan is to have more enemies around and that’s great. But I’d like to see some dynamic events happening across the map. Maybe bounty targets or bosses popping up from time to time that if taken down will grant you some nice loot. I’d like to see enemies occupying buildings and you have to clear them out. I’d even like to see just some random clues that if followed will lead you to hidden enemies – maybe overheard conversations from friendly NPC’s. 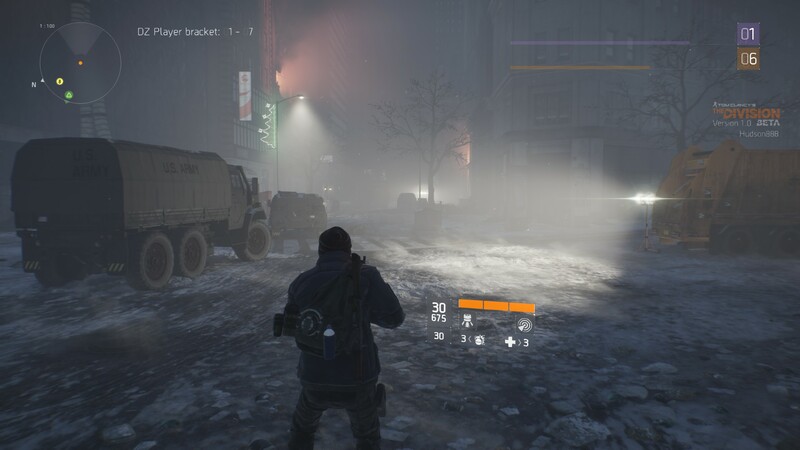 I think dynamic events would also translate very well in to the Dark Zone. I feel like a set timer when you hit rogue rank 5 would make it a bit fairer on players going rogue. Currently you have a never ending timer if you stay in combat, meaning your only option to survive is to run away, which I don’t personally think is very fun. Especially when you can’t actually hide anywhere as you have a huge red skull above your head the whole time. I also think that your general position should only be given away, thus making non rogue players a little more wary when closing in on an area where rogue players are. Currently it’s too easy for non rogue players to track down and kills rogue players especially seeing as I would regularly see eight or more players hunting rogues. 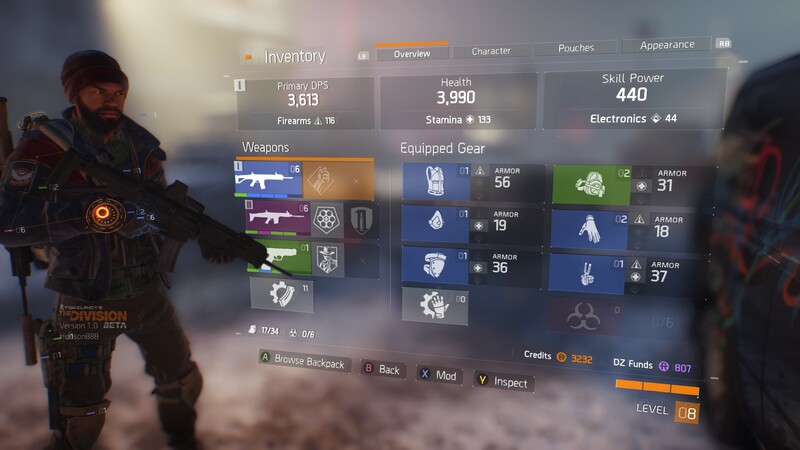 When you die in the Dark Zone you can lose DZ xp, DZ money, any loot you’re carrying and sometimes other objects like DZ keys.I’m fine with losing loot etc when I die especially if I’m rogue – the higher your rogue level the more you lose. What I’m not ok with though is losing DZ keys when I’m not rogue. This is partly due to the fact that they currently seem pretty rare – I only found a handful during my play time. Also because if I step out of a checkpoint ready to go and someone is waiting just to cause some griefing, how is it fair that I could (and probably would) lose a DZ key. Personally I think you should only lose DZ keys if you’re rogue. Generally I thought the inventory was pretty decent. But the appearance tab of it was not good. Once you’ve picked up quite a few items it takes too long to scroll through them. This just needs to be cleaned up a bit and I’m sure it will be. Finally I’d like to see a slight change to your stash. You can hold 30 items in your stash that are extracted from the Dark Zone. But in order to get to your stash you have to travel back you your base of operations to sort through it and pick up any items. 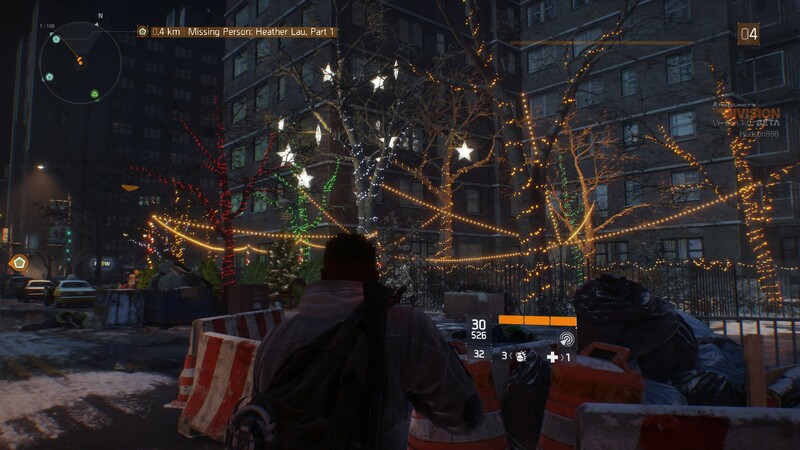 If you then want to head back to the Dark Zone, you have to walk back. It’s just an arduous and needless task. There are talks of more safe houses in the final game and if you can access your stash from these then that should solve most of the problems with it, providing you can get there and back quickly enough. See you in the Dark Zone!